1862 was the year that the US Civil War underwent a major ramping up. People on both sides of the fight were confused, angry, and hesitant. Most believed the ‘war’ would have already been over. Very few people realized to what extent the citizenry was being manipulated to participate in the country’s most dividing event in its history. Longshot In Missouri is a novel that follows a courageous man and his family as he journeys the transformations on his path from farmer to soldier to assassin and spy, all the while trying to fulfill his duties as husband and father to his family. An amazing journey with wonderful characters. In LONGSHOT in MISSOURI, we meet Rob Finn – an Irish immigrant farmer living in Wisconsin – and follow him through his introduction to the grueling realities of war within a nation. Rob’s unusual talents with a rifle have earned him the nickname of Longshot, together with assignments that take him to various places around the western theatre of the war. It is a physically taxing, emotional journey, on which he is sometimes surprised by the truths he learns while doing his job as a soldier and a spy. We also meet Allan Pinkerton, and others of his staff, getting a little insight into what the beginnings of military intelligence for the United States government was like in its infancy. 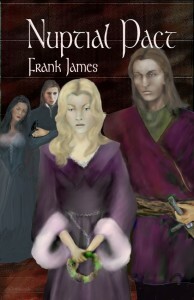 Historical characters interact with our fictional hero; actual events are intertwined with the daily lives and conversations of people in those rapidly changing times. 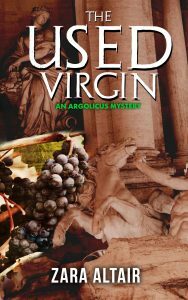 Join with Rob as he works to serve and save the things he believes to be of utmost importance, and struggles to sort out those beliefs – the true from the false – in a baffling environment. 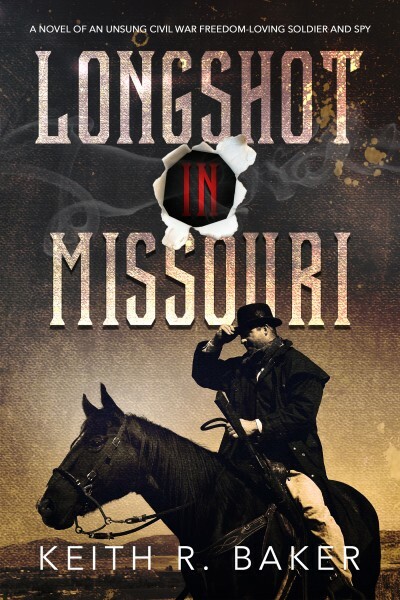 LONGSHOT in MISSOURI is the first book in the LONGSHOT series, which chronicles a rural family as it struggles through the US CIVIL WAR and beyond.